The team at Jim Dunlop has announced a bunch of new toys for us to play with. From upgraded and signature pedals to handy toolkit accessories, this new batch of equipment contains something for every player. So, let’s delve right in and have a butchers. 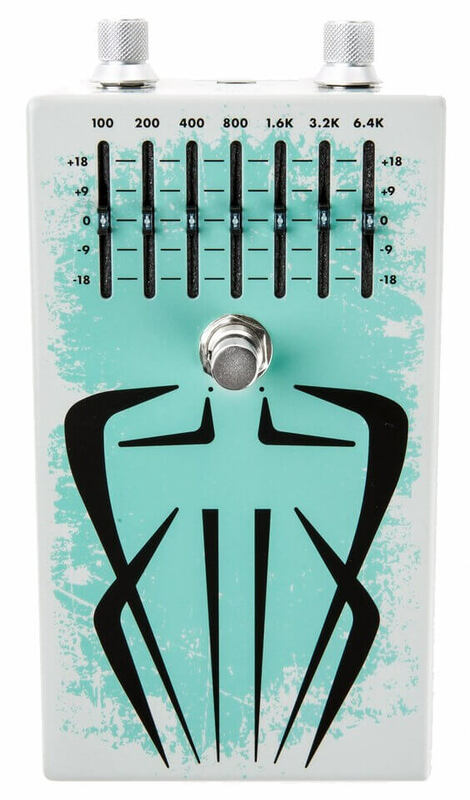 Billy Gibbons Siete Santos Octavio Fuzz FX Pedal – Buy Now! Fans of tough blues rockers, ZZ Top, will enjoy this one. So, as the story goes, Jimi Hendrix introduced Billy F. Gibbons to the scorching magic of the Octavio Fuzz. And, ever since, it’s been one of Billy’s favourite pedals. Traditionally, he pairs it with a 7-band EQ, which allows him to refine the effect and deliver some outrageous solo sounds. Therefore, like all good pedal manufacturers, Dunlop stole the secret recipe, boxed it up and shipped it out. And now, it’s yours to enjoy. 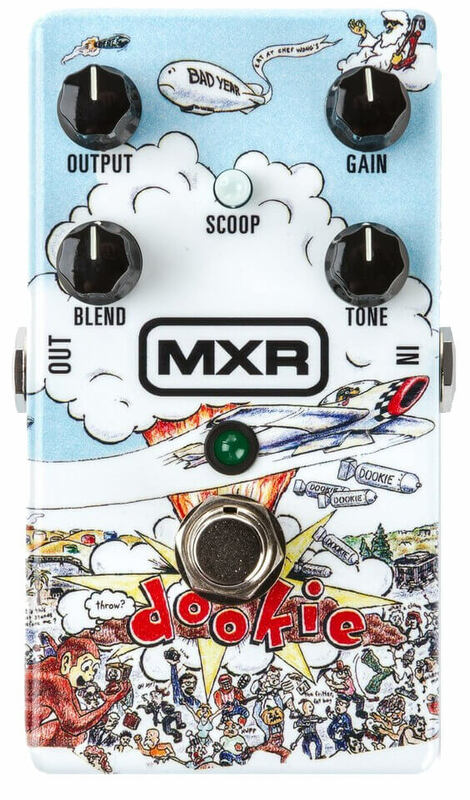 Green Day Dookie Drive FX Pedal – Buy Now! 25 years ago, pop-punk band, Green Day released their ground-breaking album, Dookie. It was dirty and punchy and crammed full of fast, melodic riffs. That sound was achieved by running two modified amps together – one with a tonne of gain and the other with a well-defined midrange – then blending the two. So, what did Dunlop do? They studied the amps and designed a pedal that replicated them both. Then, boxed it up and shipped it out! Vintage Bass Octave FX Pedal – Buy Now! Bassists who crave that delicious, deep brown note sound will have a field day with this one. Taking the classic, warm analogue vibes of a traditional circuit, the Vintage Bass Octave delivers superior tracking and cleaner headroom, providing the versatility required of modern bass players. From tone-thickening growls to stomach-churning dub tones, this pedal provides an impressive range of slick, musical sounds. 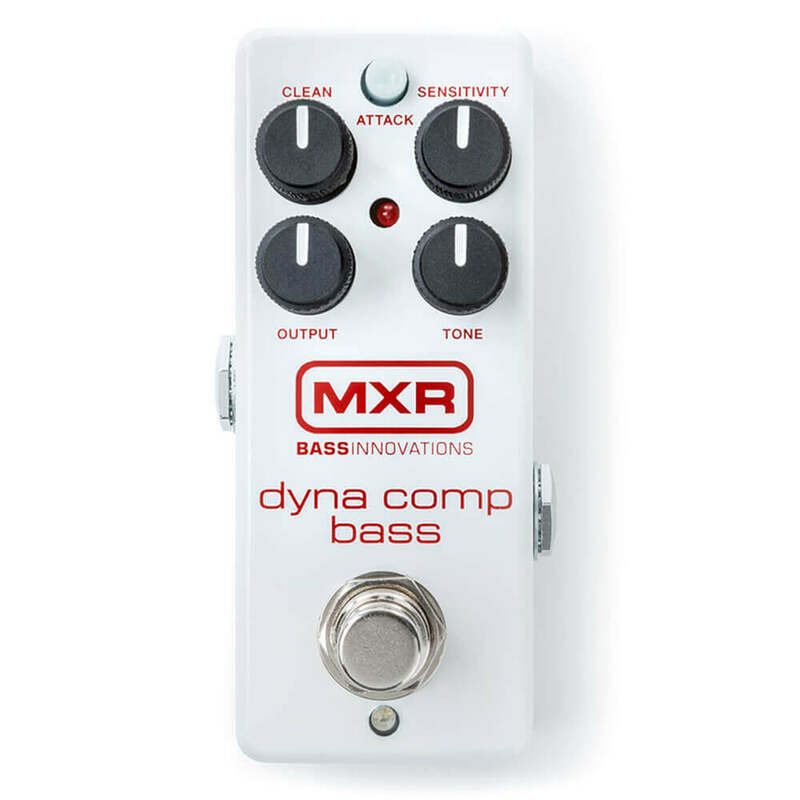 Dyna Comp Bass Compressor Pedal – Buy Now! As far as compressors go, this might be the most iconic in music history. Only now, it comes in a bass friendly form. Featuring some incredibly responsive Clean and Tone controls, the compressor maintains low-end integrity and retains the total dynamic range of your bass. Additionally, it comes in that famous pedalboard sympathetic size that we all know and love. 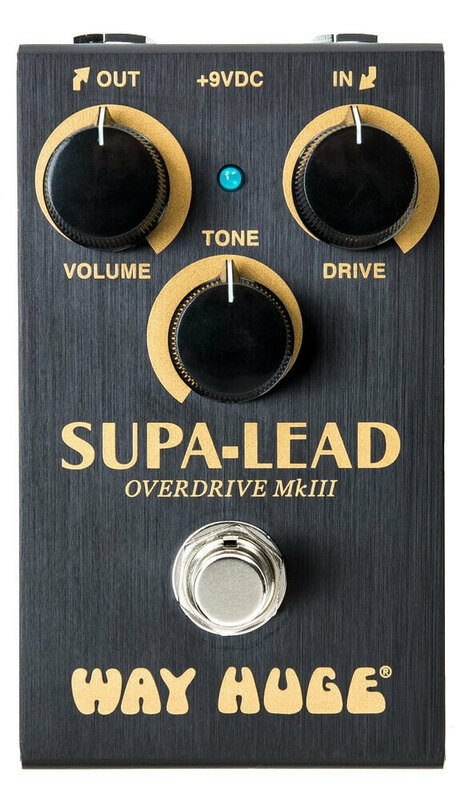 Smalls Supa-Lead Overdrive MkIII FX Pedal – Buy Now! If you’re the sort of guitarist who wants amp-like crunch tones from just a slightly dirty amp, this Supa-Lead is for you. It gives you a focussed midrange grate with a bounty of output volume. Furthermore, its dynamic, touch-sensitive nature means it will clean up quickly as you drop the guitar volume control. 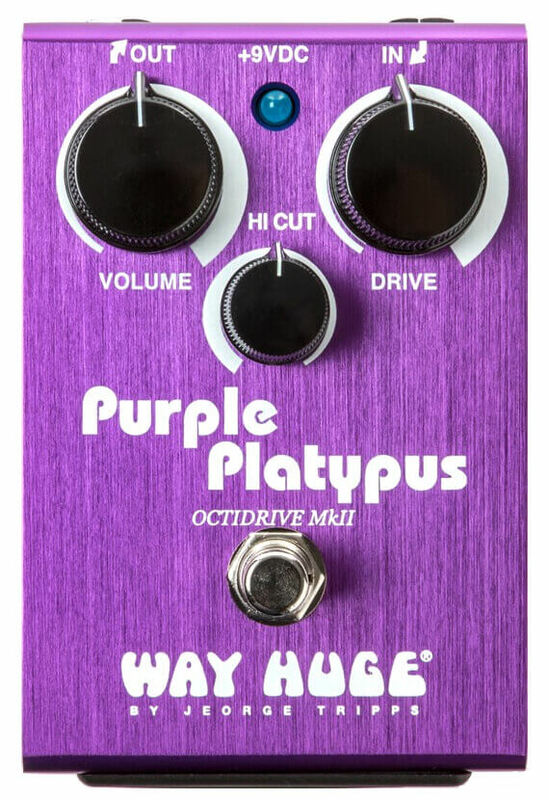 Purple Platypus Octidrive MkII FX Pedal – Buy Now! Another classic returns! This time in the form on the Purple Platypus Octidrive MkII. Combining the smooth tones and amp-clobbering gain of the Red Llama Overdrive with a frequency doubler, this Octidrive MKII gives you an octave-up effect. Take it from ghostly ring modulator effects to an outright, massive octave fuzz. This guy even comes with a Hi-cut control so you can modify the tone to your own personal taste. Care & Maintenance System 65 Accessories – Buy Now! Dunlop cares about you. More specifically, they care about you caring for your instrument. So much so that they have a bunch of accessories that will help you keep your axe in great nick. Don’t spend your time scrambling around on the floor for lost picks. Instead, flick on this Dunlop Gig Light. It includes a courteous soft power button and lets you toggle between high and low beams and features a strobe setting, too. When you need to adjust your nut, you need the right tool. Made in the USA from stainless steel. This Dunlop Uni Wrench provides you with exceptional grip and will accommodate just about every nut on your guitar. Whether it’s the action of your strings of the height of your pickups, Dunlop’s Active Gauge provides the accurate measurements you need to set up your instrument properly. If you need to clean or polish your frets, the Dunlop Fret Collars helps you protect the fretboard from abrasion while you work. Imagine it’s gig night. But, unfortunately, a part of your instrument has come loose. Never fear. Because the Dunlop Screwdriver, with 2 Phillips-head and 2 flathead pieces, will fit every screw on your instrument. Perfect for improvised adjustments. Many guitarists detest the sound of unclipped strings rattling around at the headstock. But, with Dunlop’s String Cutter, that need not be a problem. It slices through even the thickest bass strings like a hot knife through soft, delicious butter.